If you have a significant other like mine, it's not always easy to guess what they may be asking for for Christmas. While I know any sort of flashlight remains high on his list - there are only so many flashlights I can buy ya know? 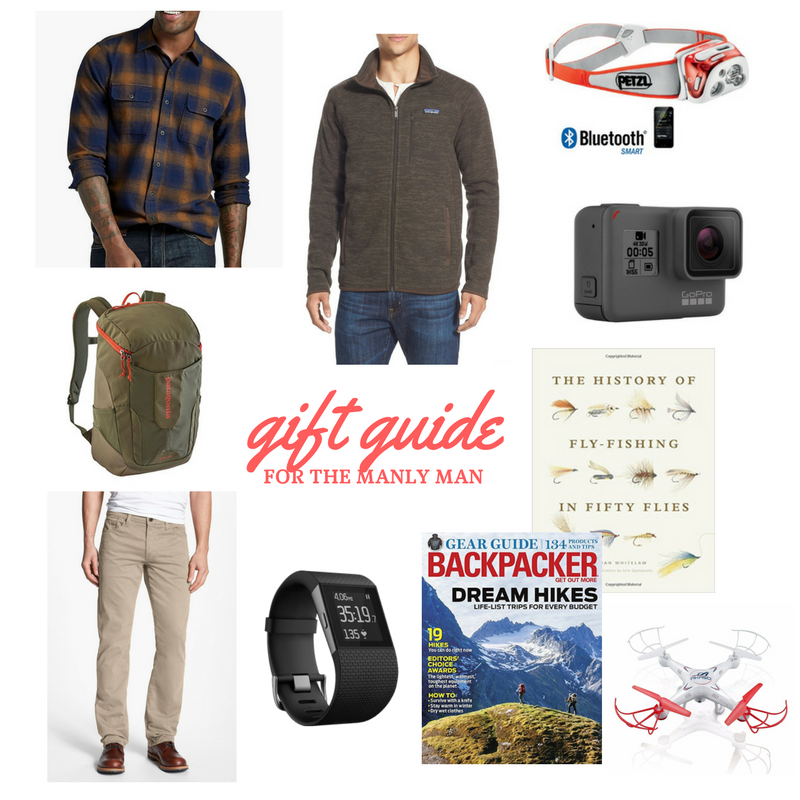 So here is a gift guide for those manly men in your life (quite the polar opposite of my toddler girly girl gift guide!) When in doubt a new magazine subscription about something they love is always an awesome gift idea! That blue tooth head lamp sounds awesome! You should also get P a little head lamp for her stocking. My boys love theirs. For camping or night hikes! I love this! All these items are perfect for my boyfriend!